Delivers up to 22 SEER cooling for lower operating costs. Sophisticated and intuitive, it lets the user to take control of home comfort on their terms. Helps maintain comfort, can be cleaned in a utility sink. Allows the user to quickly monitor the temperature set point, mode setting and system diagnostics. 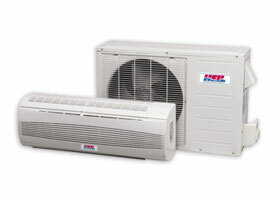 Automatically adjusts temperature and fan speed at night for additional money savings. Ratings up to 22 SEER that help lower your energy bills, compared to an older 10 SEER unit.